Work-life balance for a spy may be an oxymoron, but Jack Reardon likes a good challenge. And he’s almost bested this one. He’s settled into his Meta-State promotion as a field leader and into his new team with a second he can trust. Shop in order, he can take a day or two off when Ethan blows into town, their bargain finally starting to paying off. 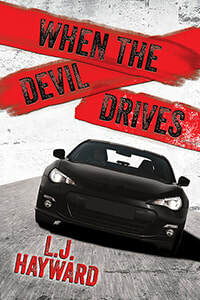 Assassin Ethan Blade has few pleasures in his life—a decent cup of tea, a job well done, racing his fleet of supercars, and Jack. With plans to combine the last two into one thrilling weekend, Ethan’s attempt at having a normal, happy life may deliver everything he’s ever desired—or backfire spectacularly. Jack and Ethan made a bargain, but the deal is thrown into jeopardy when the expectations and identities of the dealmakers shift—stoking the fires of doubt and jealously. Not to mention a contract killer out for revenge and an illness that threatens to reveal closely guarded secrets. Rewards are on the table for both men, maybe bigger than they even realize, if only they can renegotiate—and survive. Meta-State spy Jack Reardon and contract killer Ethan Blade are back and it’s absolutely fantastic, probably the most exciting one [novella] yet! I adore the Death and the Devil series — I haven’t read anything like it, and nothing as exciting in maybe ever! "I almost climbed to the ceiling during car race, it was so thrilling. . . .the book is supposed to make reader hunger for more, so this one hit the mark." "the action sequence was LOADS of fun! Nothing like a good car chase as long as the Aston Martin doesn't get taco'd."